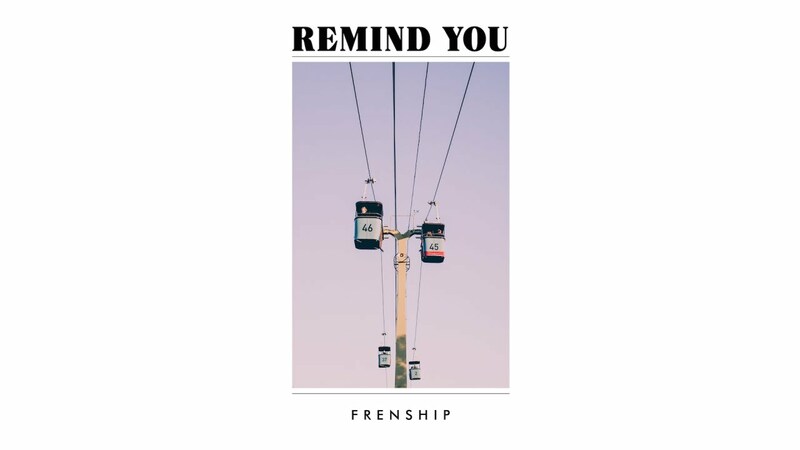 FRENSHIP’s debut full-length album Vacation follows a series of singles including their 2016 global hit “Capsize” with Emily Warren that racked up more than 750+ million streams. Full of warm harmonies, propulsive melodies, spiraling synths and sonic complexity, Vacation is an album about searching. It examines the nuances of relationships and the idea of happiness and home – the duo’s hot-cold relationship with Los Angeles serving as a complicated inspiration for the new songs. New songs “Remind You” (which addresses the insecurities which can often affect someone on one side of a relationship) and “Wanted A Name” feat. Yoke Lore (about the drive to re-capture those lightning-in-a-bottle moments of love, validation and pure creativity) were featured on Spotify New Music Friday lists in dozens of countries and have racked up over 2 million total streams while receiving early love from Alternative Radio including SiriusXM AltNation, KROQ, KCRW and more. The “Wanted A Name” video features acclaimed deaf teen actress Millicent Simmonds (A Quiet Place) delivering a powerful performance of the song in sign language, a way for FRENSHIP to reach out to their Deaf fans who they learned were requesting interpreters at their shows. It’s an awesome reminder that music really is the universal language. PRESS HERE to check out FRENSHIPand Yoke Lore’s acoustic video for the track as well. FRENSHIP (James Sunderland and Brett Hite) garnered multiple gold and platinum certifications around the world for “Capsize” and were picked as Spotify’s #2 Breakout Artist in 2016 and one of Shazam’s 2017 Emerging Artists. A festival favorite, they joined Bastille on their world tour before selling out their 2018 U.S. headline shows.